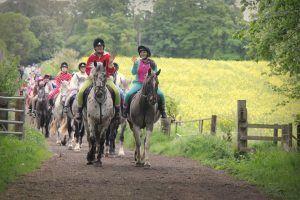 Turn the clock back to 2014 and imagine the devastation felt by the young riders at Harelaw Equestrian Centre in East Lothian, when they learned that seven of their beloved ponies had died of grass sickness. 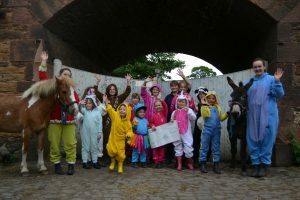 The following spring they donned their onesies and set off on a sponsored ride raising £2244. 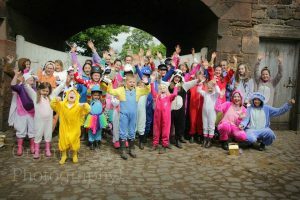 The next year the onesies came out again and a further £2256 was raised. 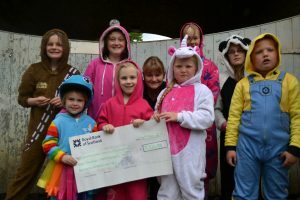 This year the youngsters, their parents, families and friends really went to town and raised an incredible £3379! 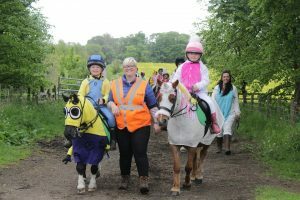 Wonderful to see the children with their bright costumes and happy faces turning a tragedy into a joyful experience and helping further research into this deadly disease. 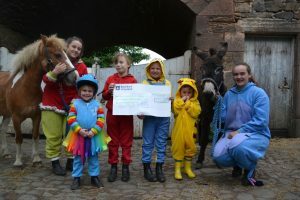 Thank you to all the young riders, their parents, friends and families for their hard working efforts in raising this money, and also to Brenda Findlay and Carrie Bain of Harelaw Equestrian Centre for their support. And finally thank you to Organics Photography and Anne Thomson for taking such great photos!